GhostSurf is a computer software program that allows for anonymous surfing of the Internet. Like other software programs of this nature, Ghostsurf provides security for the private browsing of Internet websites. It also provides peace of mind. With Ghostsurf you get ideal Internet anonymity, which means that you have the ability to surf the web without be tracked or traced. There are a number of reasons why Internet users prefer to anonymously surf the web. One of the most important reasons is the level of vulnerability presented by Internet use. When visiting a website, you are revealing yourself (and data about your usage) to the targeting and data collection of many different agencies - federal authorities, search engines, and online marketing groups are just a few. Information regarding your computer system, browser, usage, and web history are all examples of what data targeting groups can collect. Besides protecting personal information, there are many logical reasons for wanting to surf the web anonymously. Citizens of those countries with restrictive Internet or communication policies will want to mask their particular web use and habits. Similarly, those who view the Internet at work may want to hide data from their employer on what websites have been visited exactly; for example, when looking for a new job. The idea of anonymous surfing is actually very simply: a buffer is placed in between your computer and the sites you view online. This buffer allows you to view the website, but doesn't allow the site (or anyone else) to trace your computer information back through that buffer. Most anonymous surfing software follows this pattern, and the buffer is generally a proxy server. When accessing the Internet under normal conditions, your computer's web browser will access and "talk to" the websites you want to view: this is how your computer is identified. However, when utilizing proxy-style anonymous surfing software, the proxy server becomes the middleman, the buffer. When accessing the Internet the computer's browser will first talk to the proxy server and then the proxy server will "talk to" the web site you want to view. As a result, the web site ultimately does not identify your computer's information; it identifies the proxy server. Ghostsurf does not operate by this common, proxy-style, buffer method. The software instead offers a basic, but effective, method for anonymous surfing: scrambling your IP address. Whenever your computer connects to the Internet, Ghostsurf scrambles the IP address much like a good firewall package would do. 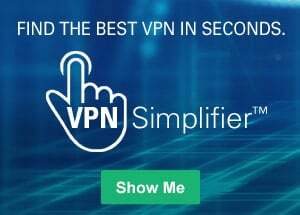 This scrambling of the IP address encrypts your Internet connection, and provides you with the privacy and protection you need to surf anonymously. One of the most attractive incentives of Ghostsurf is its level of personal customization. Privacy levels can be customized in real time to suit your changing needs, including the ability to block your personal information and mask your IP address. These privacy levels can be simply adjusted at any time by a moving slider. At one end is the lowest level, Normal, your computer data is sent through the Internet without modification, encryption, or rerouting. At the other end, the highest level, all personal information is removed, encrypted or rerouted. Again, the level of privacy customization is always up to you. Beyond the moving slider of privacy protection, Ghostsurf allows users to exclude certain websites altogether. This means that some websites will be allowed your personal information if you choose so. For example, you may want your personal information blocked from Internet websites in general, but not your online banking website or web-based email. If so, Ghostsurf will allow you to customize your privacy levels in order to provide your personal information to these selected sites while still protecting you from all others. And finally, Ghostsurf offers a number of useful program utilities that give you an added benefit. The software program will remove your browser history, delete any cookies and, if you have the Platinum edition, will remove pop-up ads. Ghostsurf also prevents adware and spyware with its own company-designed anti-spyware program, SpyCatcher. The software will also provide you with feedback regarding these utilities, such as the number of blocked cookies and pop-up ads, and blocked in-page ads. The software will also provide feed back on sent invisible requests via the Internet and sent secure requests as well. Ghostsurf is an ideal software program that not only allows for anonymous surfing, but protects your computer as well. However, it does not offer a few items that anonymous surfers prefer. Ghostsurf lacks built-in anti-virus protection or spam tools. And for all of its additionally privacy protection and feedback tools, it does not offer reporting tools or any sort of log generation regarding the protection measures. Yet this is not surprising if considering how affordable the software really is. In this sense, it is an overall affordable program for anonymous surfing.